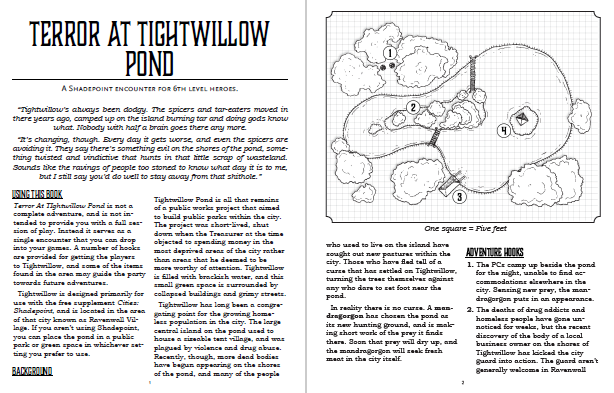 Terror At Tightwillow Pond is a single 5th Edition compatible encounter for 6th-level characters, set in a small public park in the middle of a bustling city. It is designed to be used with the free supplement Cities: Shadepoint but can easily be dropped into your preferred setting of choice. 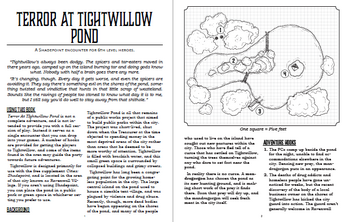 An 11 page PDF designed for home printing. 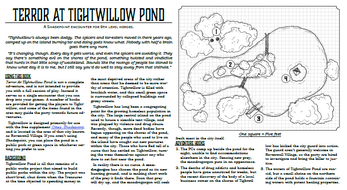 A 6 page PDF designed for screen viewing. PNG versions of the map with and without labels. 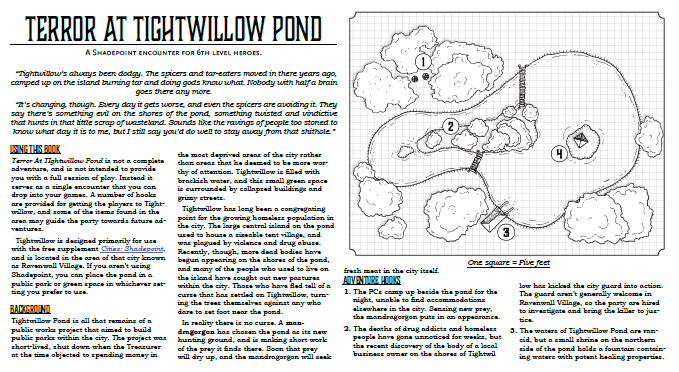 A PDF version of the map with a 1 inch grid, designed for printing. Stats for the mandragorgon, a new CR 6 monster. I'm also on the DMs Guild!